All Americans are well aware that the Sunshine State is one of the most beautiful destinations in the United States. You can enjoy anything you could possibly imagine you would want from a vacation: incredible weather (even in December! ), dreamy beaches, tons of theme parks and attractions around every corner in every city in the state. It is a wonderful destination for couples, families with kids and traveling solo because you have so many things to do and you literally can never get bored. You have every reason to travel to this state at least once in your life, and we are ready to supply you with some of the greatest ideas. You can find our favorite 10 best places to visit in Florida below; have fun and have a safe trip to paradise! Even though Florida is widely reputed for its beaches and theme parks, one of the loveliest cultural gems in the state is the Salvador Dali Museum. 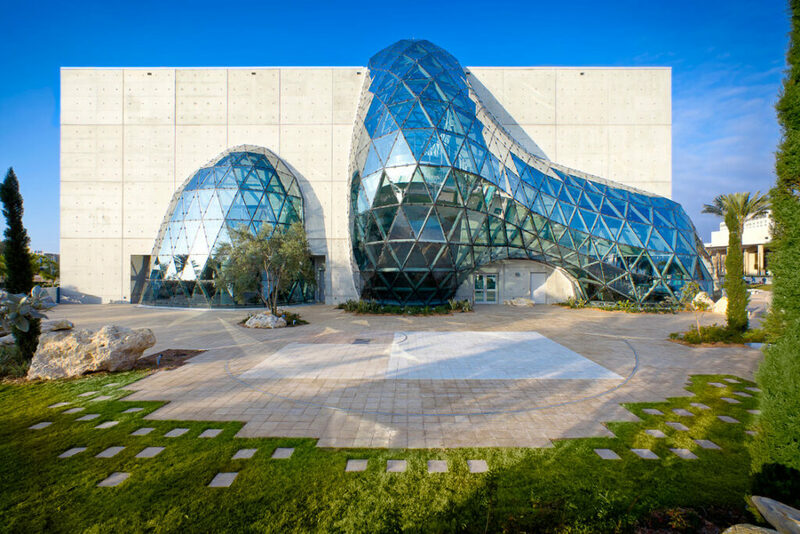 Located in St Petersburg, the Dali Museum was founded by Reynolds and Eleanor Morse in 2011 and is home to almost 100 oil paintings and original Salvador Dali works of art. Tickets range from $8 to $24 and children under the age of 5 can enter for free. One small step for man, one giant leap for humanity! If you want to get closer to space, you have to visit the Kennedy Space Center in Merritt Island, Florida (about a one hour drive from Orlando). It serves as one of the most popular and best places to visit in Florida thanks to its historical value, intriguing guided tours and the fact that it supports the Launch Complex 39, which “has been used to launch every NASA human space flight, including Skylab (1973), the Apollo-Soyuz Test Project (1974), and the Space Shuttle program (1981-2011)”, according to Wikipedia. A must see! Do you need speed? Then you have to visit the Daytona International Speedway when traveling to Florida. The host of the world-famous Daytona 500, the racetrack was set up in 1959 by the founder of NASCAR, Bill France Sr. A significant number of racing events take place there every year, so if you are a moto-junkie, you have to check it out. Widely considered the Theme Park Capital of the World, Orlando is the one of the best places to visit in Florida for hours and hours of fun and adrenaline rushes. 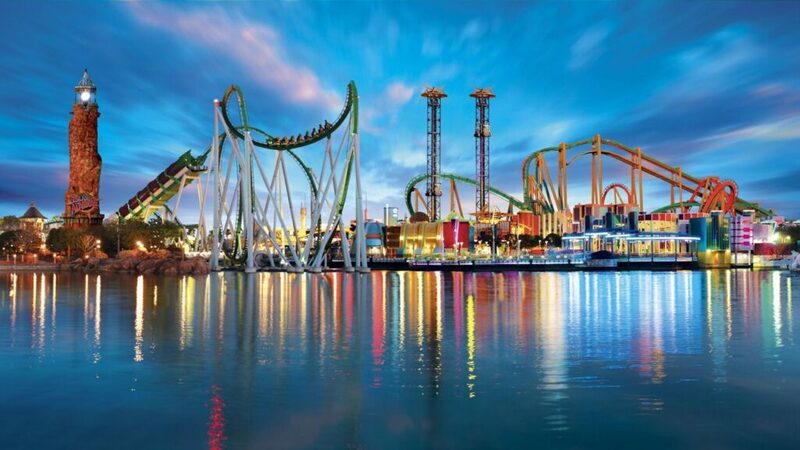 By visiting Universal Orlando, you benefit from two awesome theme parks (Islands of Adventure and Universal Studios Florida), four super cool hotels (Hard Rock Hotel, Cabana Bay Beach Resort, Loews Portofino Bay Hotel and Loews Royal Pacific Resort) and the Universal CityWalk Orlando for nightlife adventures. If you want to witness nature’s miracles at their most beautiful, Florida Keys is the destination for you. Travel south to discover the breath-taking coral cay archipelago that hundreds of thousands of tourists visit every year for its sheer beauty. While visiting the Florida Keys, you should visit Mallory Square, the John Pennekamp Coral Reef State Park, the Dolphin Research Center, the Harry S. Truman Little White House or the Theater of the Sea. Surprisingly, the top-rated tourist attraction in the Florida Keys on Tripadvisor is the Key West Butterfly and Nature Conservatory, so it’s good to keep in mind. It is impossible for your children not to have included building with Legos. The beautiful 145-acre theme park in Winter Haven, Central Florida is dedicated to our favorite tiny building blocks is an excellent choice for your children (or to bring out the kid in you). Legoland Florida was officially opened in 2010 and welcomes visitors with over 45 attractions that will offer an entire day of fun with the family. While in Orlando you must visit SeaWorld, Aquatica and Discovery Cove. Just one look at Shamu, the theme park’s killer whale mascot, will melt your heart and make you appreciate marine life more than you ever have before. 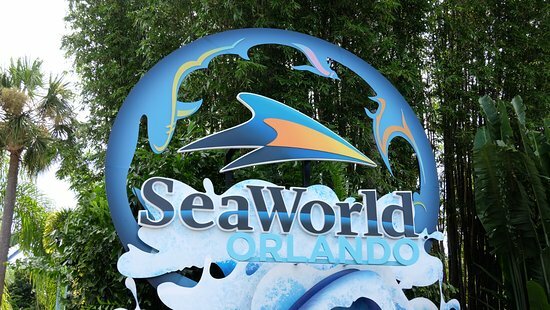 “In 2013, SeaWorld Orlando hosted an estimated 5.1 million guests, ranking it the tenth most visited amusement park in the United States and nineteenth worldwide,” according to the Themed Entertainment Association. With eight delightful “seas” (attraction areas) to visit, SeaWorld should be close to the top of your list. Speaking of wildlife, you should catch the oldest and biggest zoo in Florida, the Miami-Dade Zoological Park and Gardens (Zoo Miami). With more than 3,000 animals, 500 species and more than 100 exhibits to enjoy, Zoo Miami expands on 750 acres of land for you to explore with your family and loved ones. 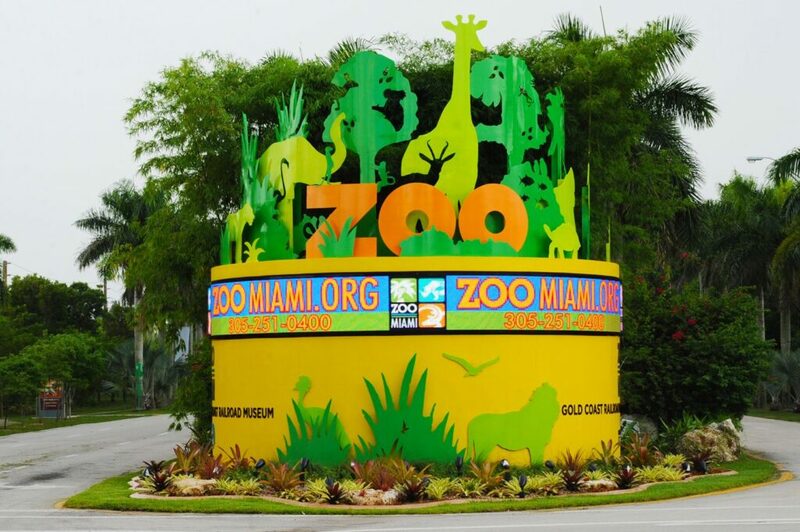 What began as the Crandon Park Zoo in 1948 turned into the MiamiMetro Zoo in 1980 and is now branded as Zoo Miami. Guests enjoy free parking and free entrance for children 2 and under, whereas adults (13+) pay $17.95 and children (3-12) $13.95 for a ticket. If you were born in the 90s and grew up in the early 2000s, you are definitely a part of the Harry Potter generation. 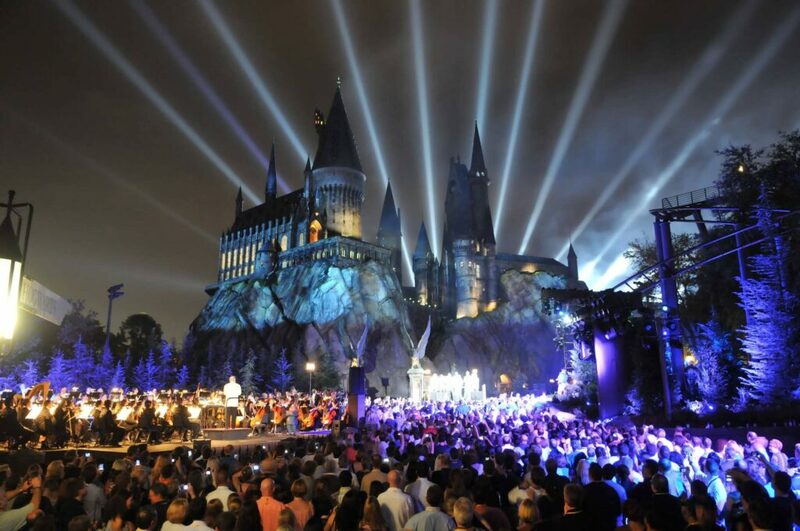 The books and movies that conquered our hearts for years at a time have resulted in a unique and mind-boggling theme park in Florida: The Wizarding World of Harry Potter. Located in the Universal Orlando Resort, The Wizarding World of Harry Potter spans across two theme parks, Universal Studios Florida and Islands of Adventure, and features attractions like the Dragon Challenge, Harry Potter and the Forbidden Journey, Fight of the Hipogriff, Harry Potter and the Escape from Gringotts and the Hogwarts Express. We were saving the best for last. 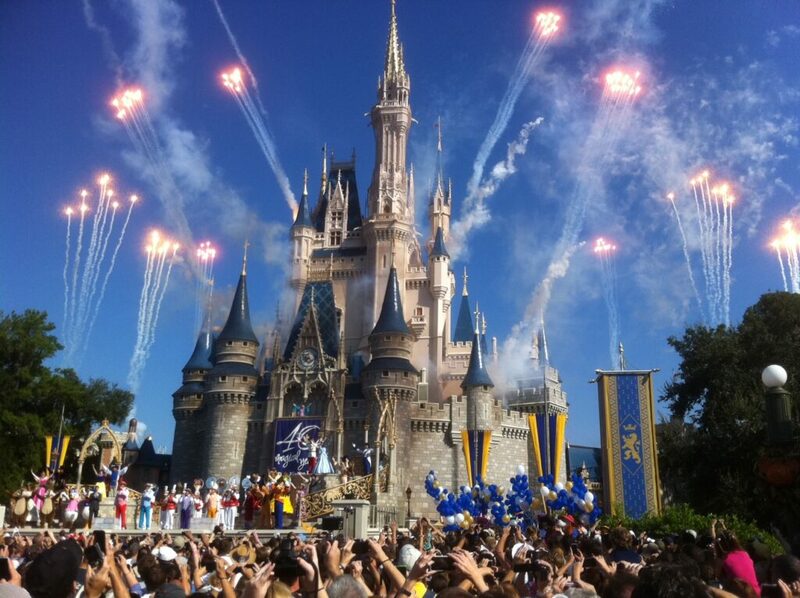 Walt Disney World is, by far, the most popular, beloved and famous attraction in all of Florida. It reunites local, national and foreign tourists on more than 27,000 acres of fantastic fun and adventures together with your favorite Disney characters. The statistics regarding Disney World support this: “In 2014 Disney World’s 4 theme parks all ranked in the top 8 on the list of the 25 most visited theme parks in the world; (1st) Magic Kingdom – 19,332,000 visitors, (6th) Epcot – 11,454,000 visitors, (7th) Disney’s Animal Kingdom – 10,402,000 visitors, and (8th) Disney’s Hollywood Studios – 10,312,000 visitors.” (OrlandoTastic) Enough said! Aside from our top ten picks, we’ve decided to come with a list of runner-ups simply because Florida has a lot to offer and we believe they are all worth mentioning. Check them out below. The city of Fort Lauderdale was once a go-to place for students during Spring Break. However, the massive improvement in the city has made it one of today’s sophisticated cultural hubs. Fort Lauderdale is situated approximately 37 km north of Miami Beach. The town has an astonishing tourist infrastructure including kid-friendly hotels, marinas, golf courses, as well as museums. Fort Lauderdale is one of the best places to go in Florida because of the different unique attractions that the city has to offer. If you are an adventurer, visit the beaches and see the sea turtles. You can also go to a nearby aviary and be amazed at the beauty of the butterflies, or the Everglades, an eight-foot gator. St. Augustine is located in the northeast coast of Florida. It is known to be the oldest city in the U.S. and recognized for its Spanish colonial architecture. The city is home to various Atlantic Ocean beaches such as the Crescent Beach and St. Augustine Beach. These parks offer a variety of fun-filled activities including snorkeling, boating, hiking, historical site-seeing and so much more! Florida is home to three beautiful national parks, each offering a unique experience to the visitor. From the mangroves of the Everglades to the isolated and abandoned Fort Jefferson of the Dry Tortugas to the underwater spectacle of Biscayne, Florida’s national parks are unlike any others. Florida Panhandle is the northwestern region of Florida. It boasts of white sand beaches and exciting attractions. The good news is that most of them are suitable for families. There’s Santa Rosa Island which offers a variety of activities for the kids. For the adults, an exciting nightlife is what awaits you in some parts of the region. Miami Beach is an island city in the southern part of the country. Two of the main attractions in the city include South Beach, Bass Museum of Art, Wolfsonian-flu, and Lincoln road. The Ichetucknee River is one of the country’s most pristine river systems, fed by a total of eight major Ichetucknee springs. It is a favorite destination for those who want to go river tubing. Other activities in the area include hiking, canoeing, swimming, snorkeling, and scuba diving. Fort Myers is the administrative and commercial center of Lee County. Fun fact: Thomas Edison and Henry Ford own estates in the area. In fact, these estates are now turned into museums and are two of the must-see attractions in the city. Stunning beaches are still accessible in the area if you want to go swimming or fishing. This island city in Lee County offers a great variety of activities for your family. There’s the Bailey-Matthews National Shell Museum, J.N. “Ding” Darling National Wildlife Refuge, Bowman’s Beach, Sanibel Island Light, and many others. If you think of Palm Beach, the town’s extravagant lifestyle, designer boutiques, and socialite residents are probably some of the things that come to mind. If you want a taste of how the rich and famous live in Palm Beach, you can visit Worth Avenue or the Everglades Club. For a more historical trip, visit the Whitehall. Siesta Key is located off the coast of Sarasota and serves as a barrier island in the Gulf of Mexico. You’ll find another set of white sand Florida beaches in this island. The Siesta Public beach is one of the best beaches in the country. Other top choices are the Crescent Beach and Turtle Beach. Off the coast of northeast Florida is another popular tourist destination called Amelia Island. The island offers a great variety of activities that can range from hiking, biking, horseback riding, cultural tours, parasailing, and deep-sea fishing among others. This resort city is located in Bay County and home to some of the world’s best beaches. Panama City Beach holds summer concerts, annual festivals, and car shows among others. Some of the popular tourist attractions in the area include the Shipwreck Island Water Park, Gulf World Marine Park, St. Andrews State Park, Camp Helen State Park, and many others. If you want to ditch your fancy hotel rooms or resort accommodations, you can camp out in the following locations. Covering a 1.5-acre wetland, the Everglades National Park is home to different animal species including the rare and endangered ones like the Florida panther, American crocodile, and some manatees. Some of the exciting things you can do this national park include camping, hiking, fishing, geocaching among others. The Everglades Park is the perfect alternative destination if you don’t want to spend a typical day at any of the beaches in Florida. Located in Caladesi Island in the Gulf of Mexico, the park boasts of a stunning white sand beach, marina, a 3-mile nature trail, and some fun activities for the family. You can go swimming, snorkeling, kayaking, canoeing, or stay on the shores and have a picnic or go birdwatching. The park consists of seven islands and is located in the Gulf of Mexico. Some of the things you can do in the area include snorkeling, diving, bird watching, camping, and many others. Note that the park is only accessible by boat or waterplane. Photo credits: Tropicalsky.co.uk, Skyscrapercity.com, Cmgdigital.com, Luxurypads.ca, Unitedwaysuncoast.org, Nasa.gov, Cbswrch2.wordpress.com, 951wayv.com, Findthebest.com, Orlandoinformer.com, Jdreservations.com.